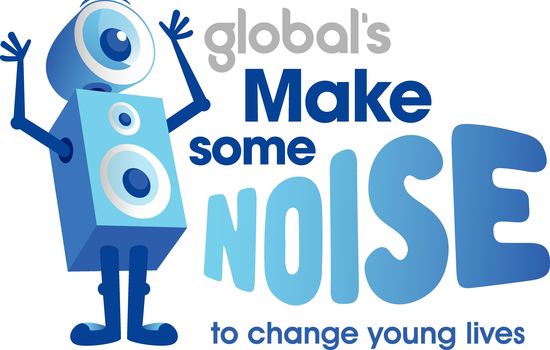 Smooth Radio is proud to be supporting Global's Make Some Noise, our national charity that helps disadvantaged children and young people right here in the UK. We are part of Global, the media and entertainment group, home of 8 of the best loved and biggest commercial radio stations. We're passionate about music and entertainment, and how we can use that to make a difference in the communities in which we broadcast. Every year we unite our friends in the music and entertainment business and our listeners to Make Some Noiseand raise money to change young lives. In 2014 our first Global's Make Some Noise appeal raised an incredible £1,110,815 to help youngsters affected by illness, disability, bereavement or lack of opportunity. We've some exciting plans to raise even more this year, details coming soon! We help disadvantaged children and young people across the UK. These youngsters may be affected by illness, disability, bereavement or lack of opportunity. We want every child and teenager to reach their full potential. So we use the power of radio to Make Some Noise for those who struggle to be heard. Which allows us to award grants to specially selected projects across the country that are changing young lives. Projects close to the hearts of our listeners and the communities in which they live. Make Some Noise is the newest chapter in Global’s long history of uniting its listeners and clients to help improve the lives of children and young people. In that time we have raised £35 million and helped 3 million children and their families. Now we’re delighted to be uniting all our stations and listeners behind Global’s Make Some Noise to raise even more money for those who need it most. We use our 40 years of grant making experience to seek out projects that are delivering life-changing work in their communities. Many of these projects struggle to build awareness or raise funds, but have a huge impact on young lives. We invite nominations for projects from our regional broadcast centres, our staff and from projects that have a proven success rate working with children and young people up to 25 years of age. Every nomination is reviewed to ensure it meets our criteria and the necessary standards around child protection policy and financial accounting. The final selection is made by a panel of experts who consider the need, impact and reach. We seek out projects which deliver life changing work and help to give children a brighter future. Want to fundraise for Make Some Noise? Why not bake some noise - hold a music themed bake off. We like the Rolling Scones or Lemon Drizzle Kicks, can you do better? Or organise a non-uniform day or change the dress code and wear loud clothes. You can all be part of a Make Some Noise event. For more easy fundraising ideas visit makesomenoise.com/getinvolved.